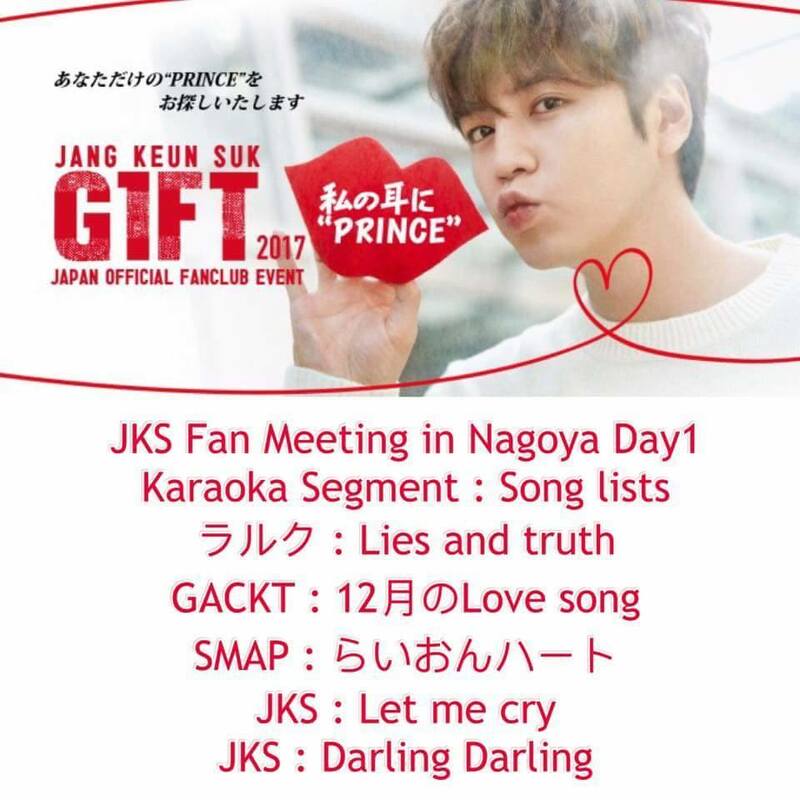 These are the songs JKS sang during the Karaoke segment of Nagoya Day 1 2017 GIFT Fan Meeting. 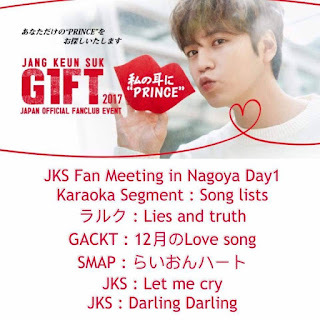 I could not go to see but the person who saw was told that it was lovely! I'd love to try it!